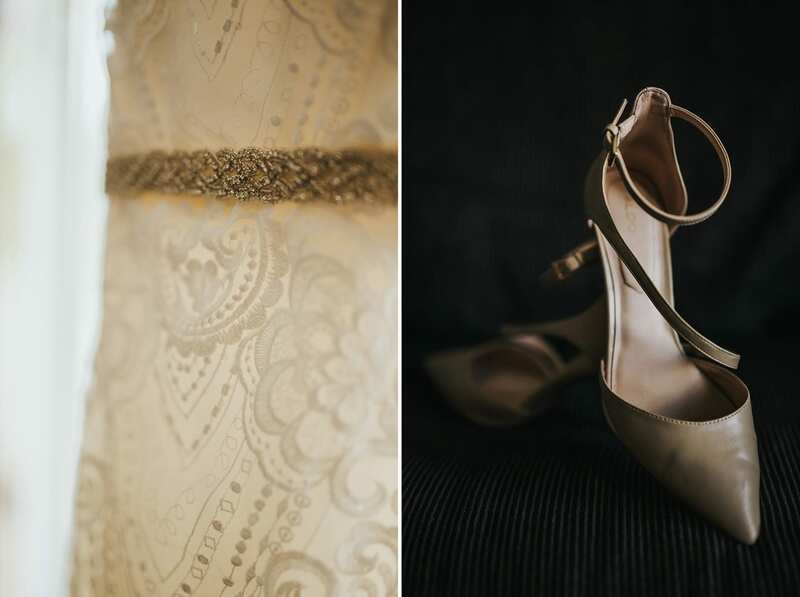 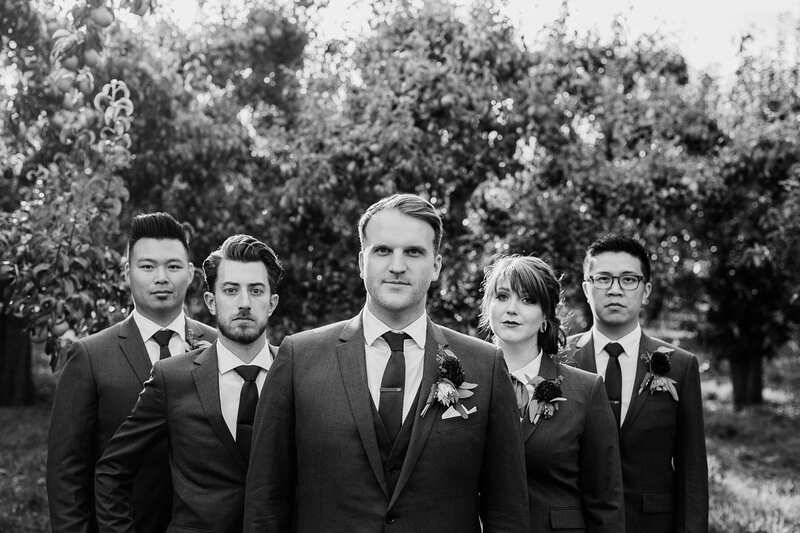 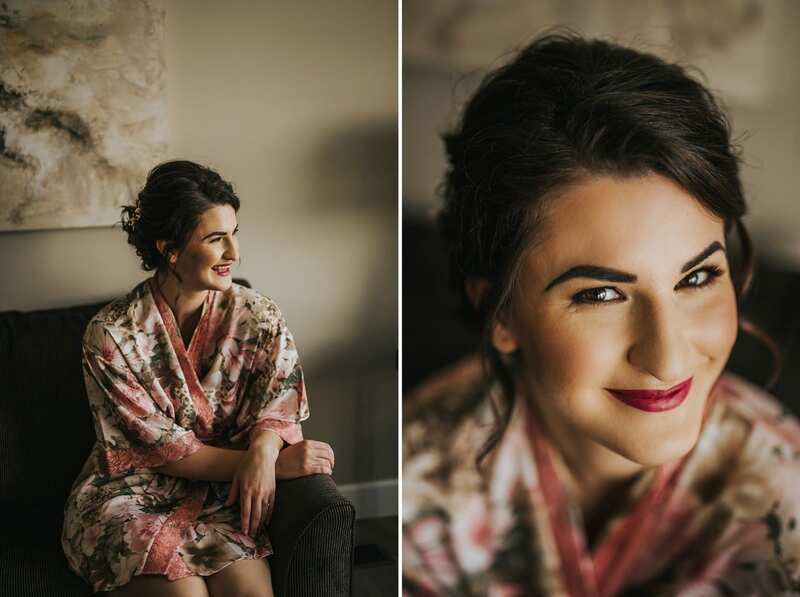 When another photographer contacts YOU to shoot her wedding, it’s the ultimate honour. 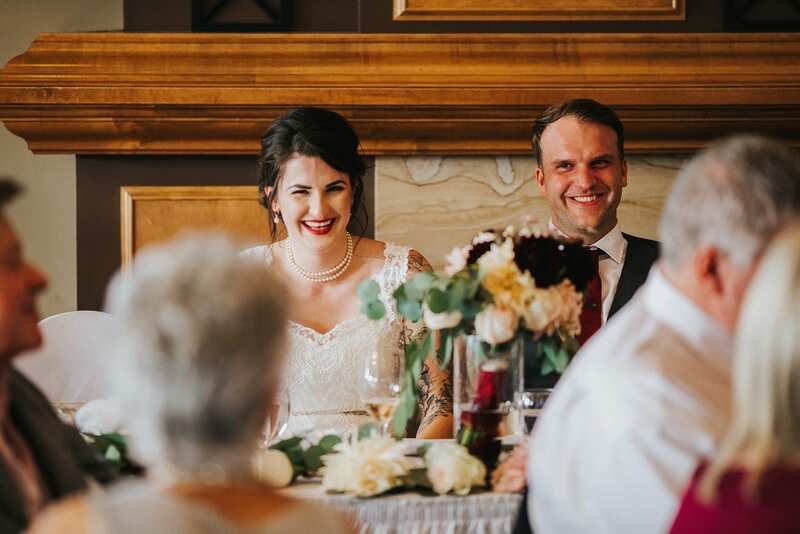 We were so excited for Glynnis + Christopher’s wedding day. 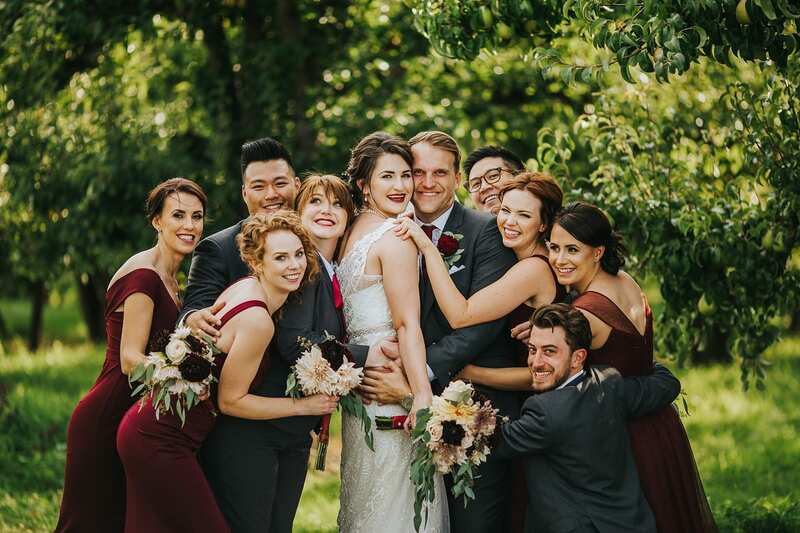 They are fun, creative, and down-to-earth people, and we knew that we were going to have a blast with them on their wedding day!! 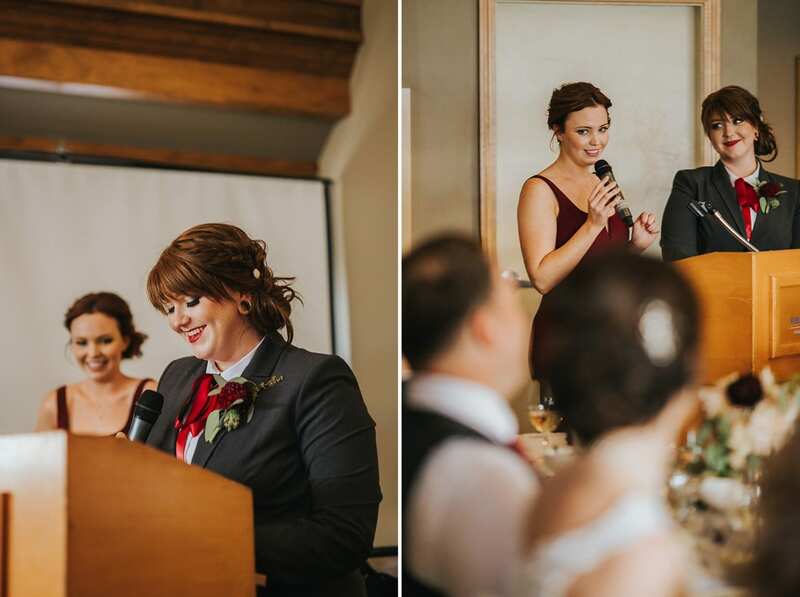 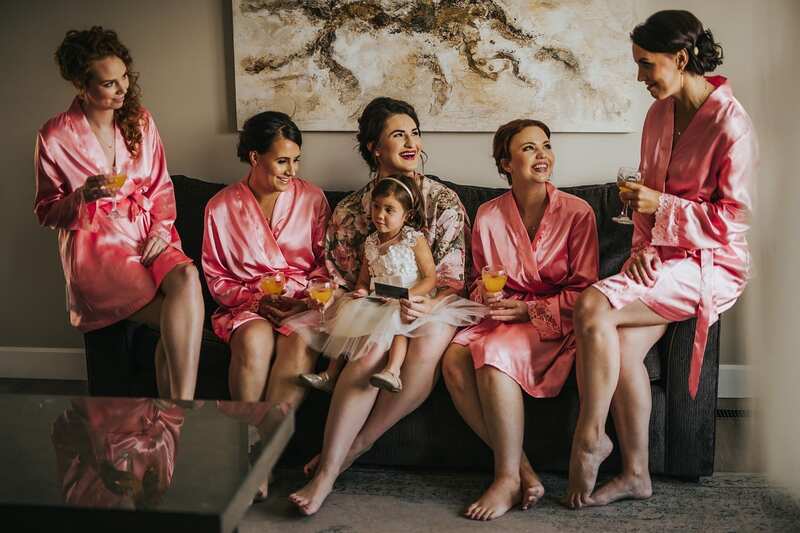 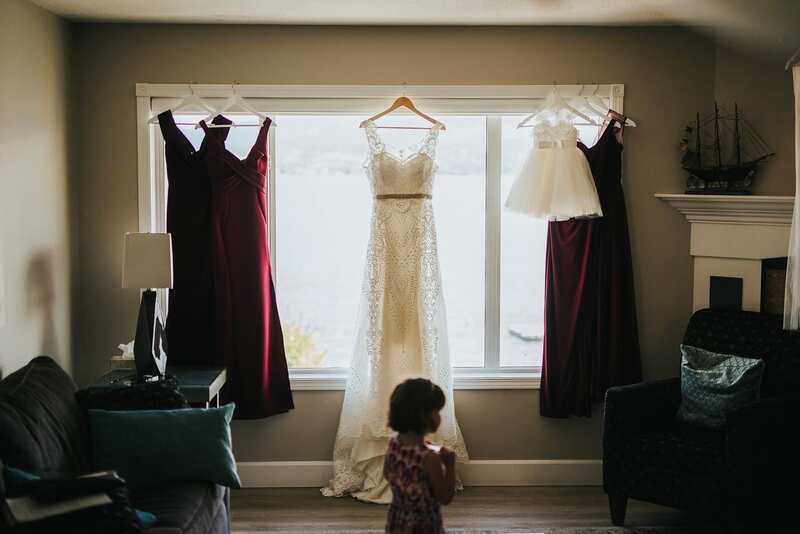 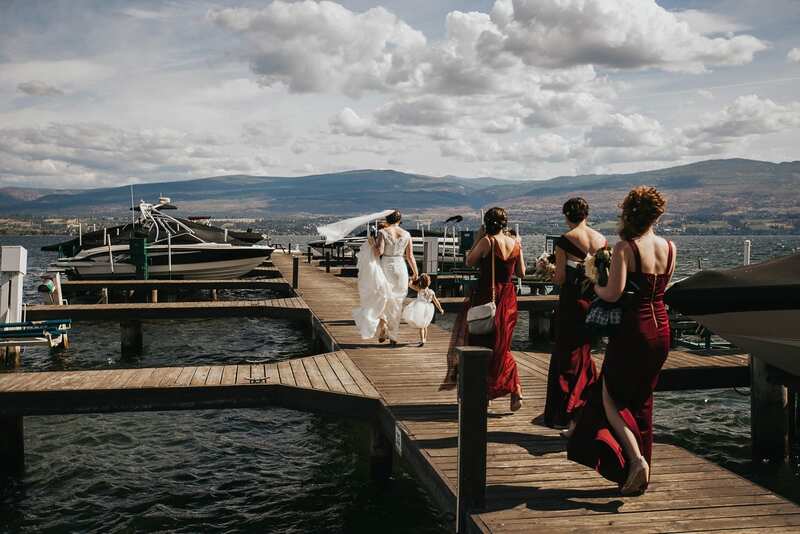 We arrived on Kelowna’s West-Side at Casa Loma Resort where Glynnis was getting ready with her mother and best of friends, and the sweetest tiny little flower-girl friend. 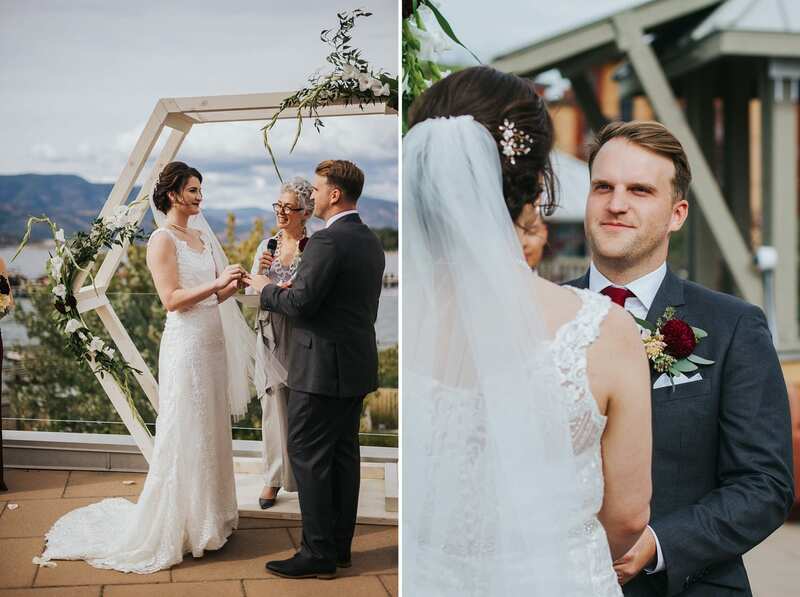 Glynnis’ makeup was just getting the finishing touches with one of Kelowna’s very best Makeup Artists: Bri Stein Makeup Artistry. 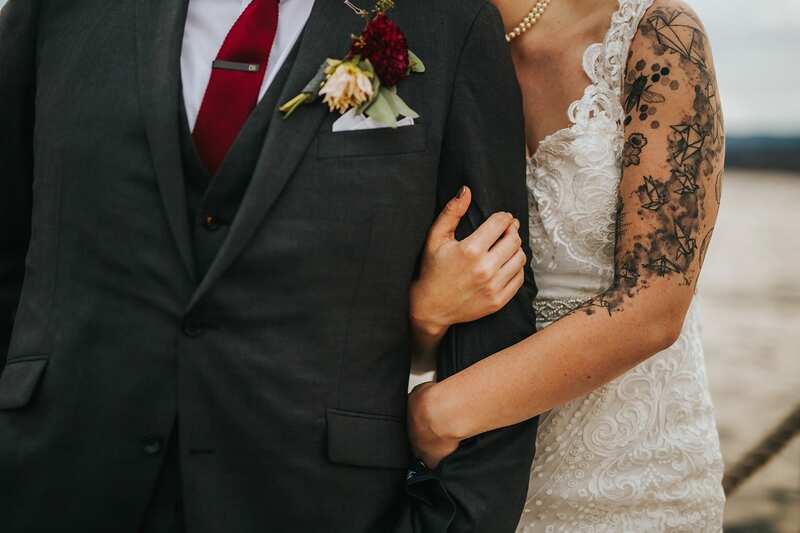 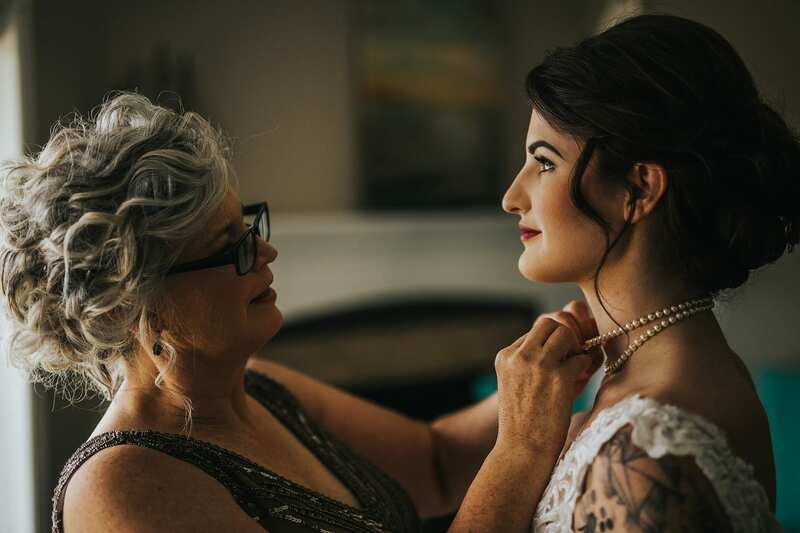 One of my absolute favourite details about this wedding was the fact that Glynnis mom MADE her dress! 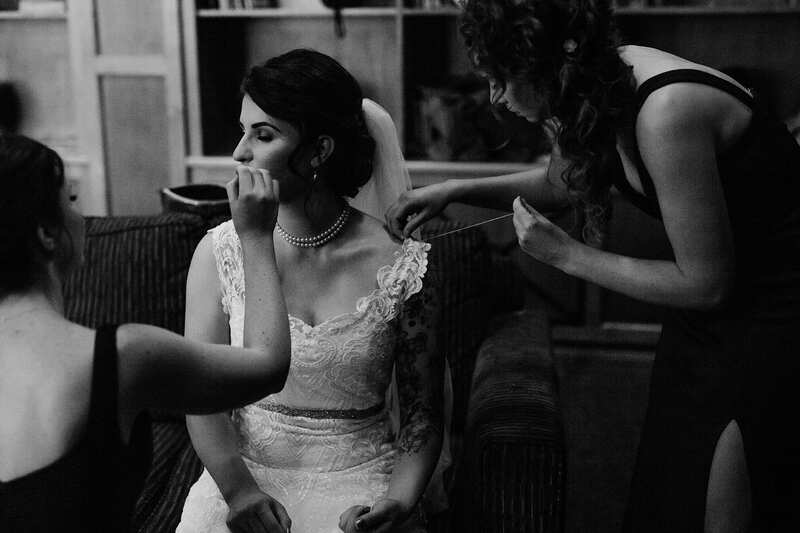 The lace was imported and was crafted to be the most exquisite dress on our funky and classic beauty of a bride! 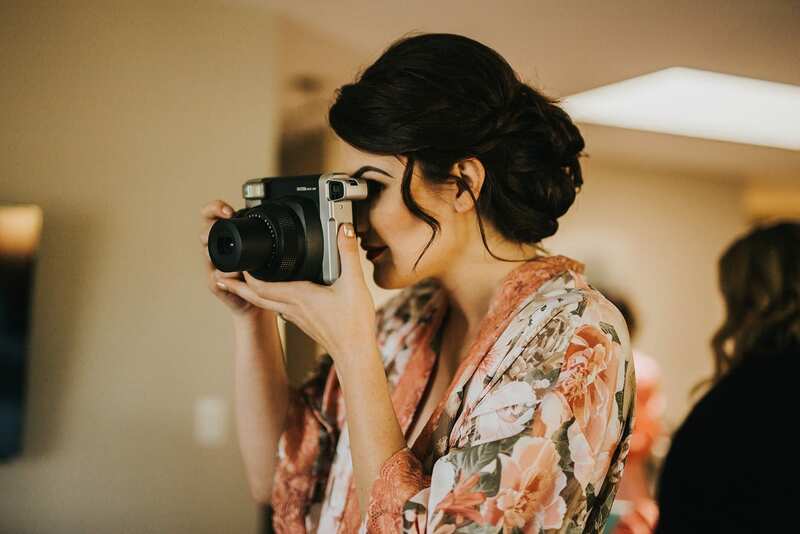 After Glynnis captured a few snaps with her Polaroid camera, it was time to get dressed! 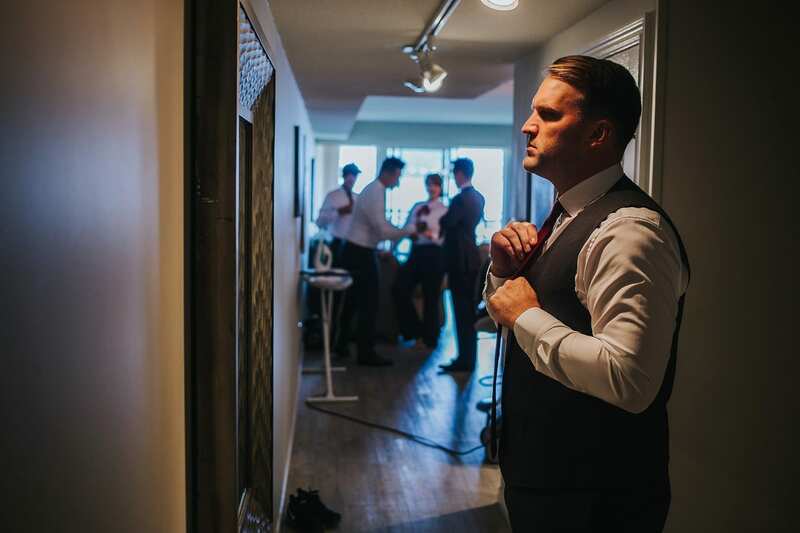 Meanwhile, the men were getting ready at the same resort! 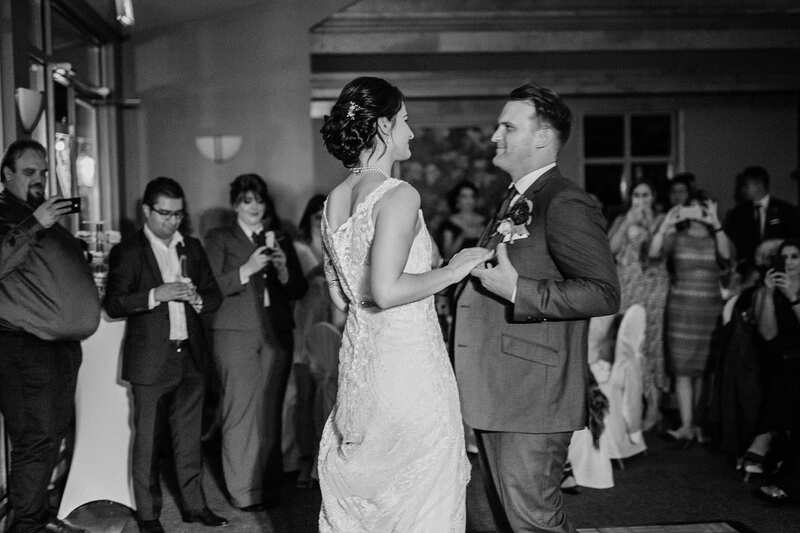 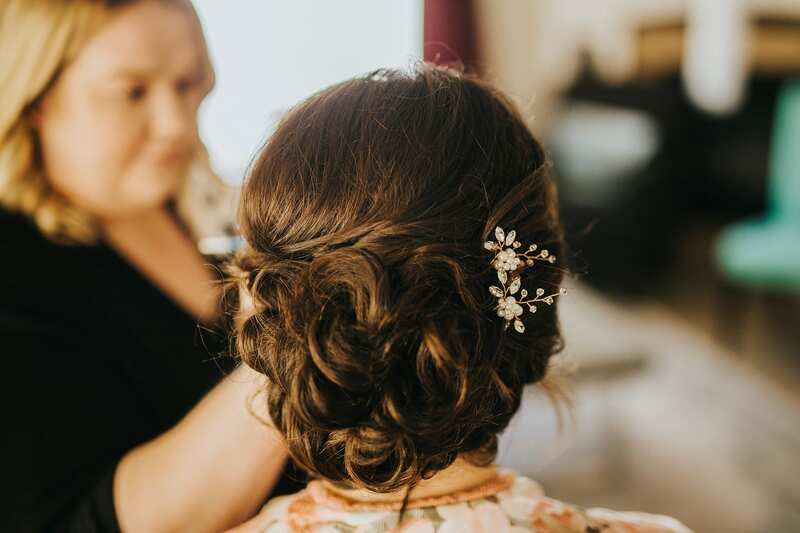 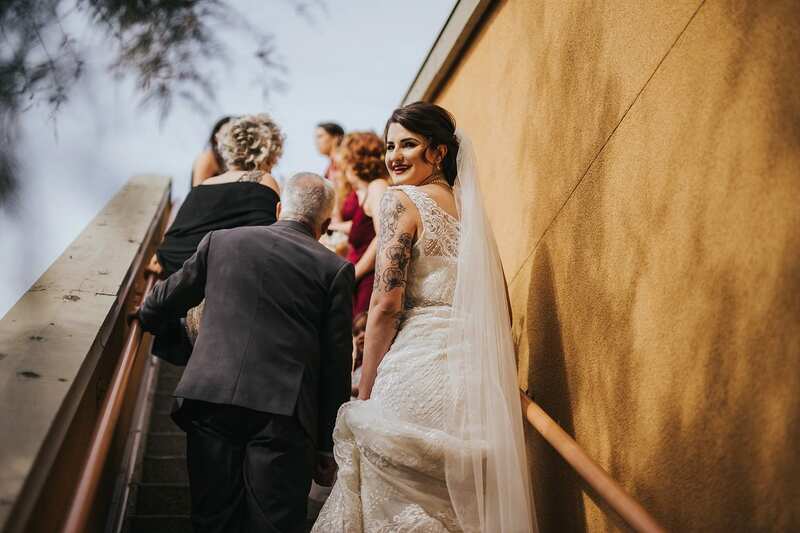 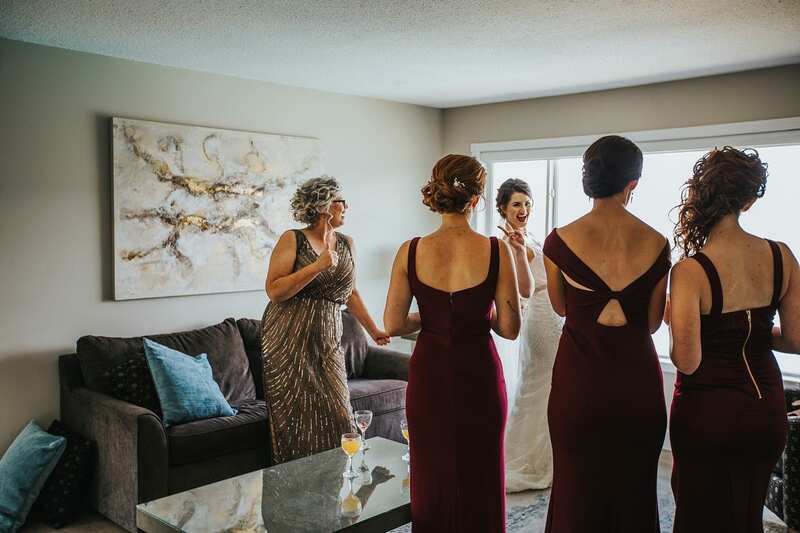 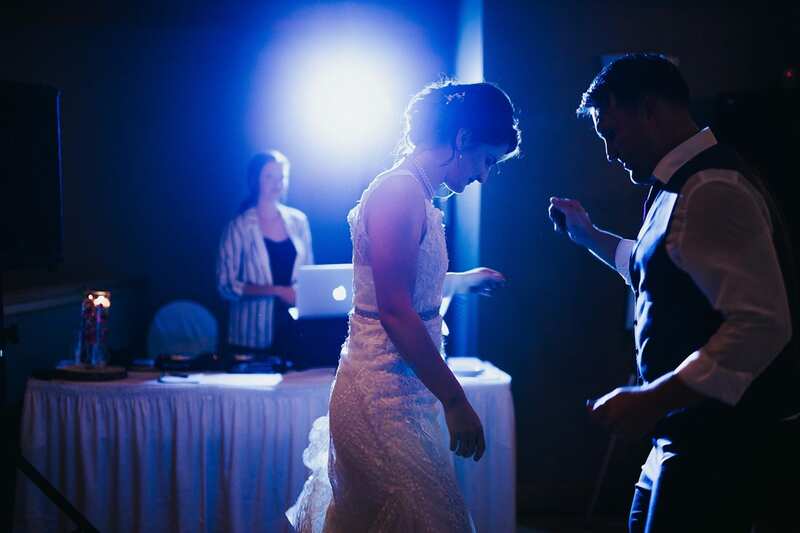 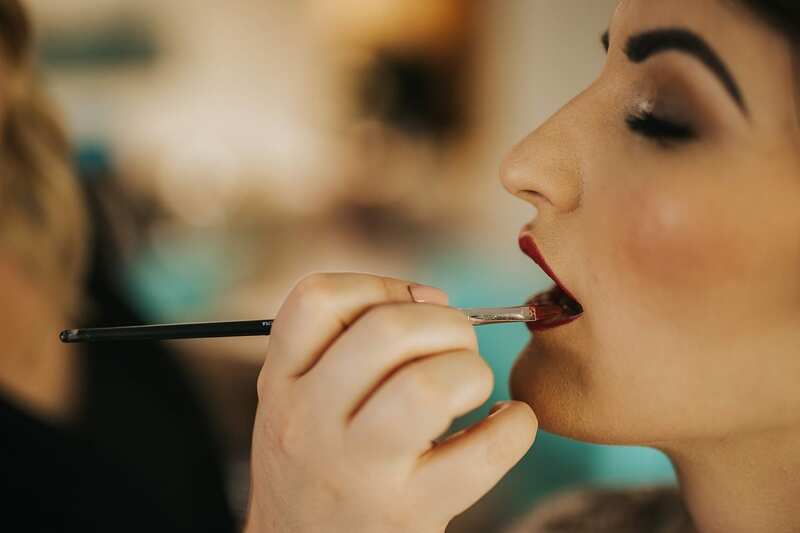 We love the ease of wedding parties being in the SAME building during getting ready, and honestly, isn’t it more comforting knowing that your love is just a few doors down just as jittery and excited as you are? 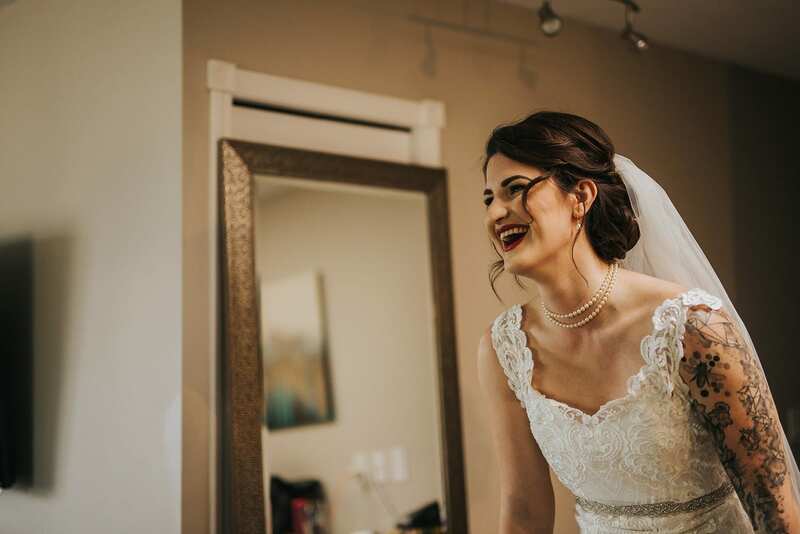 Christopher was having an amazing time finishing up getting ready with his BFF sister, and his men. 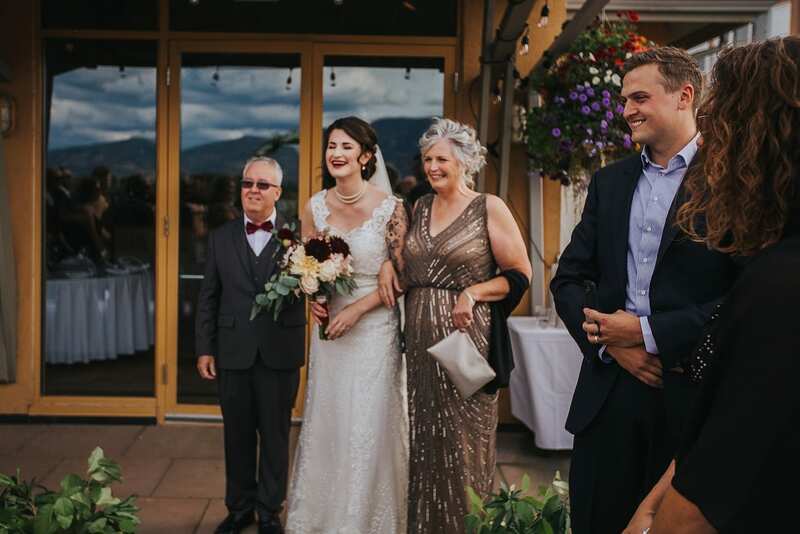 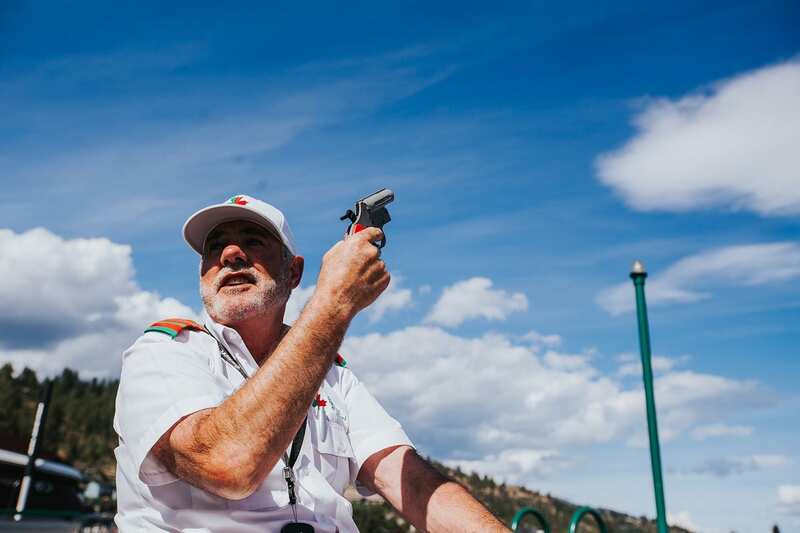 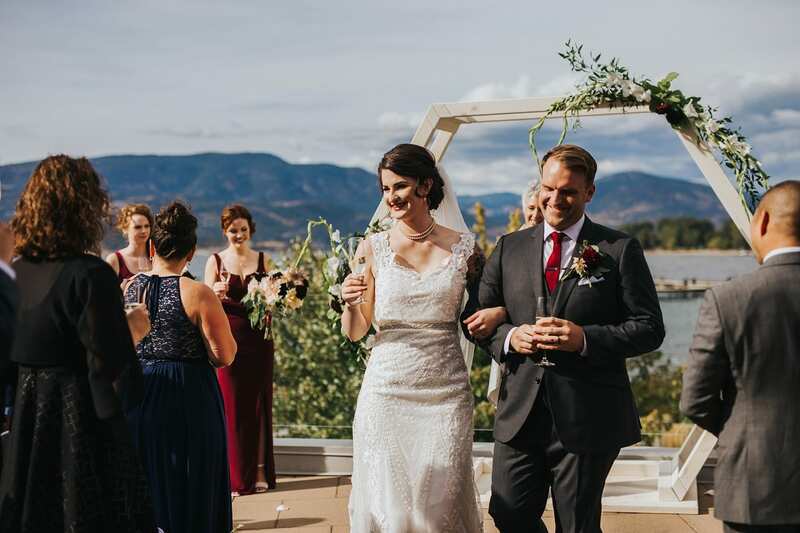 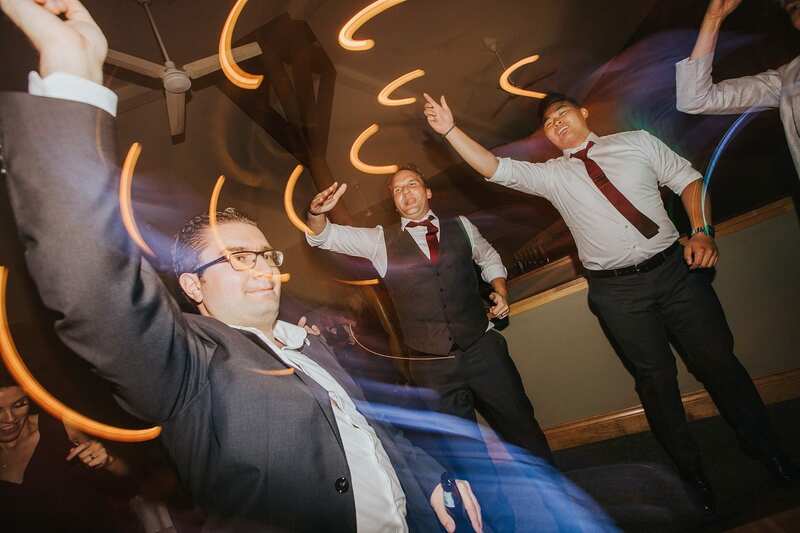 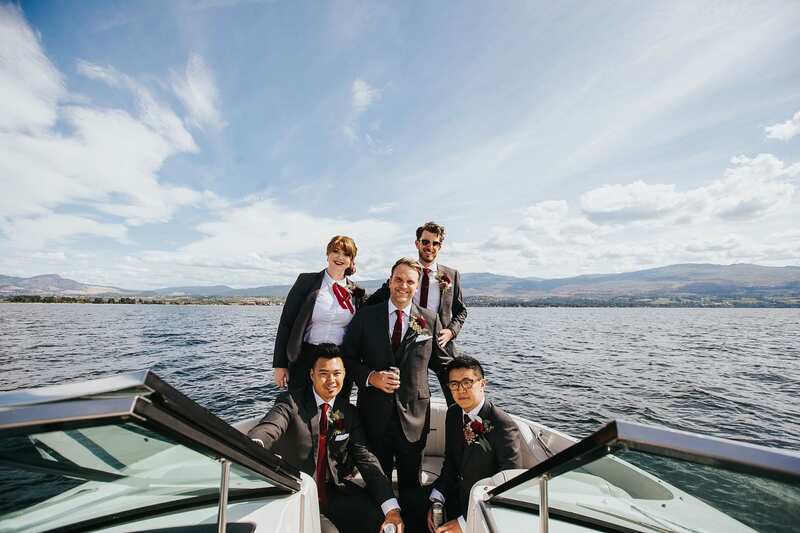 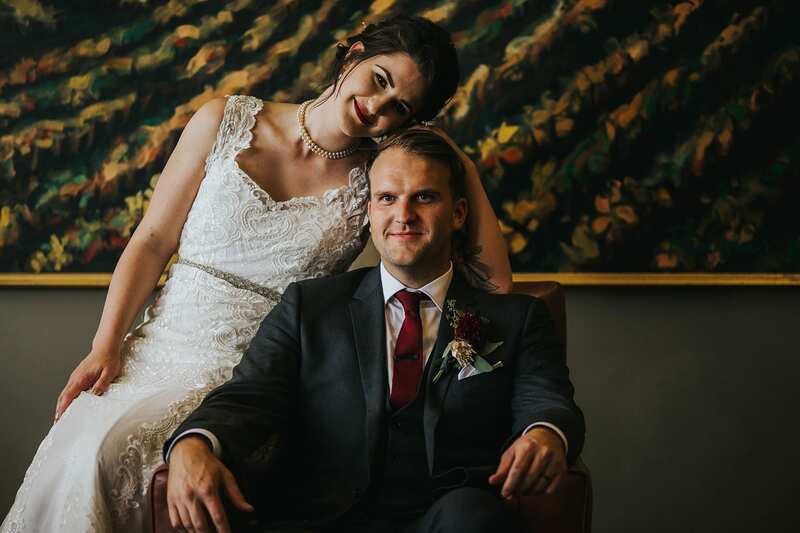 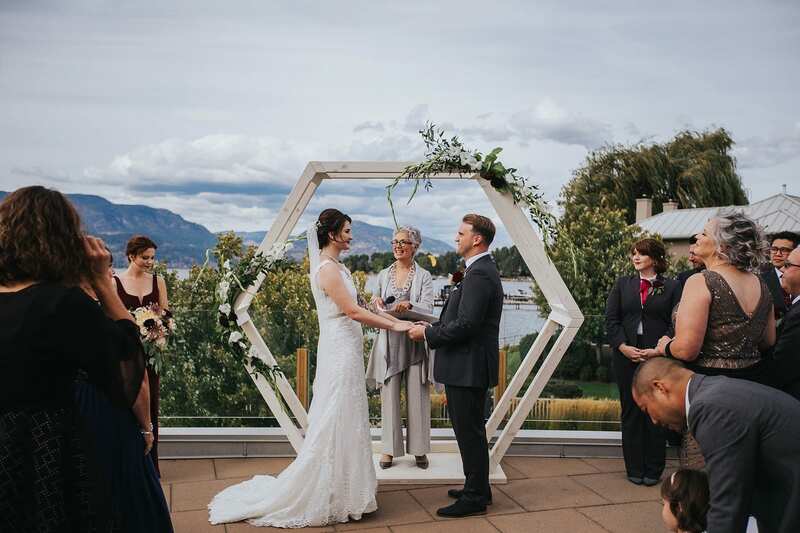 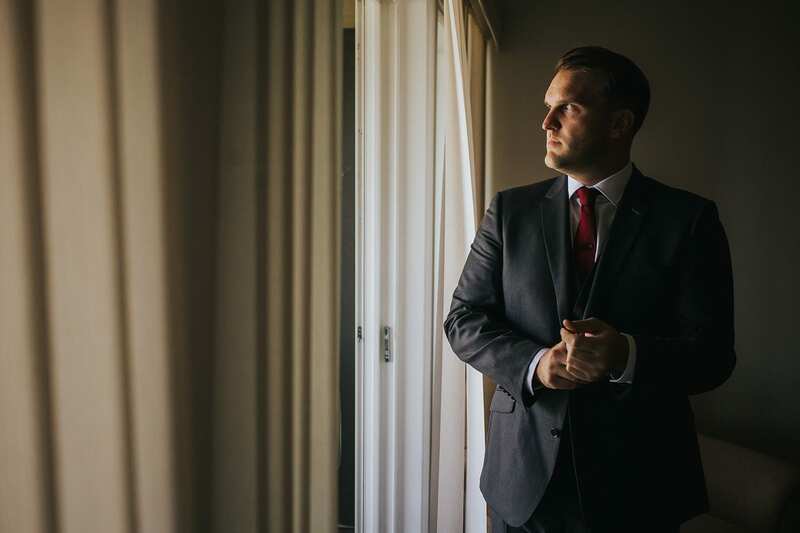 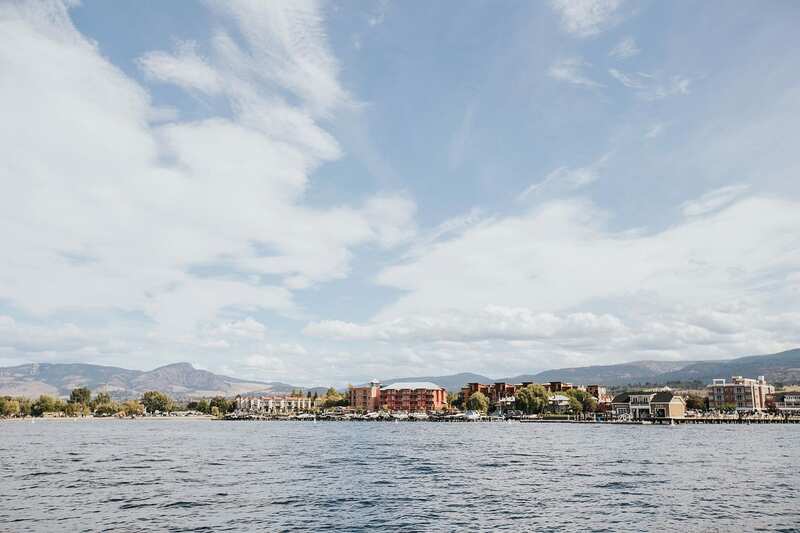 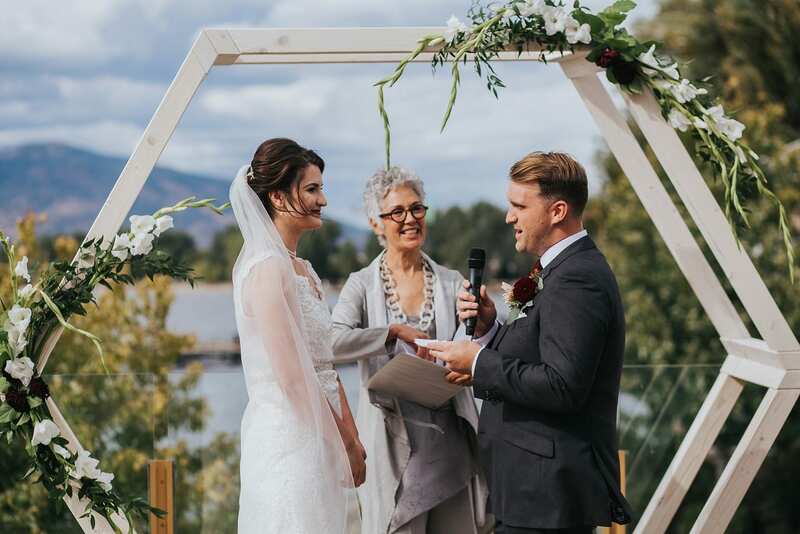 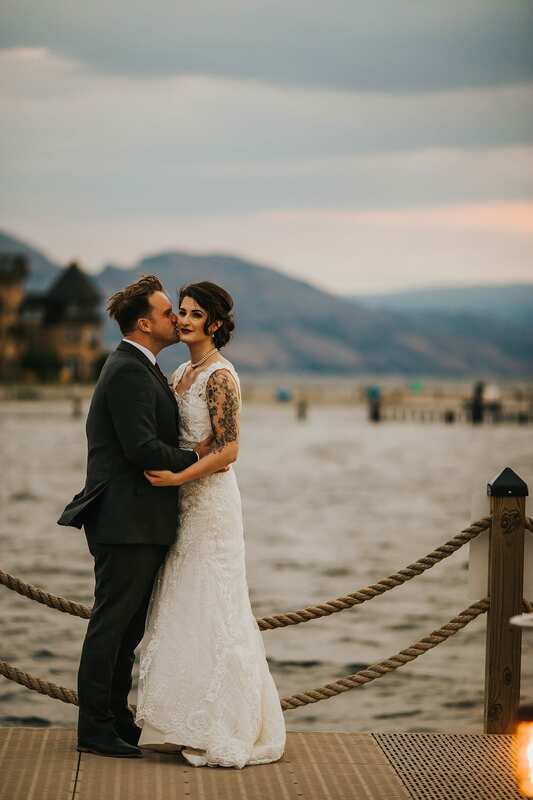 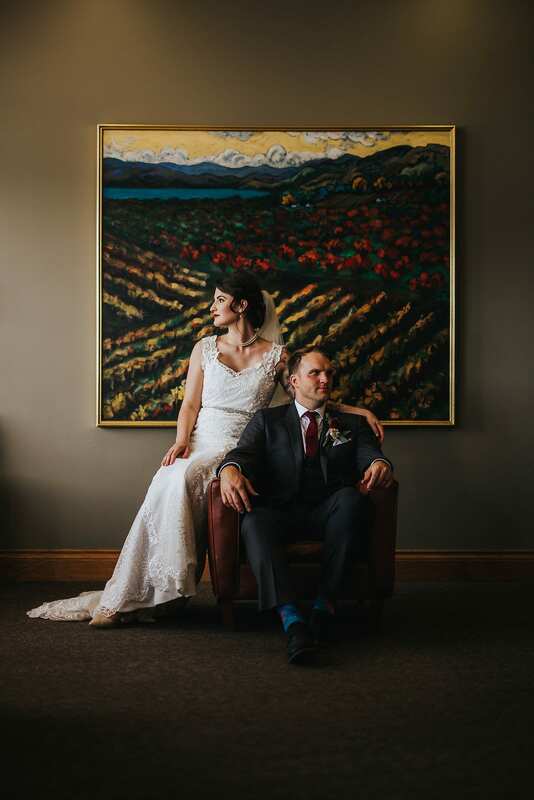 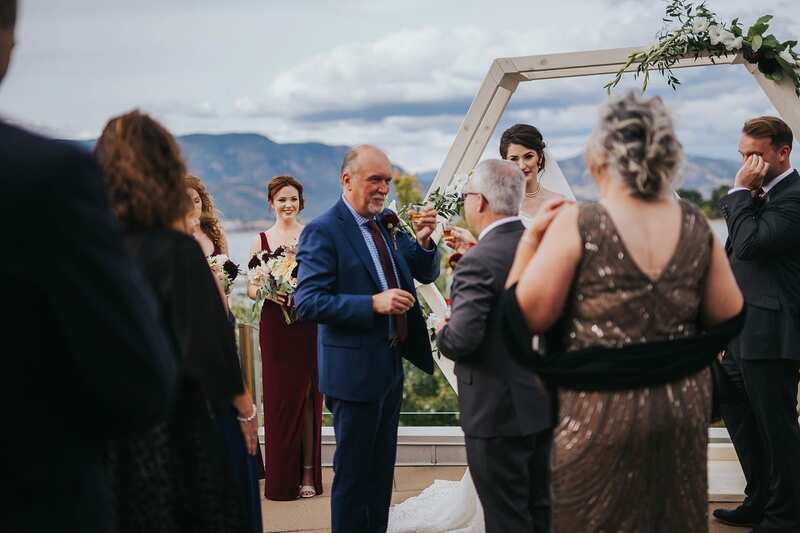 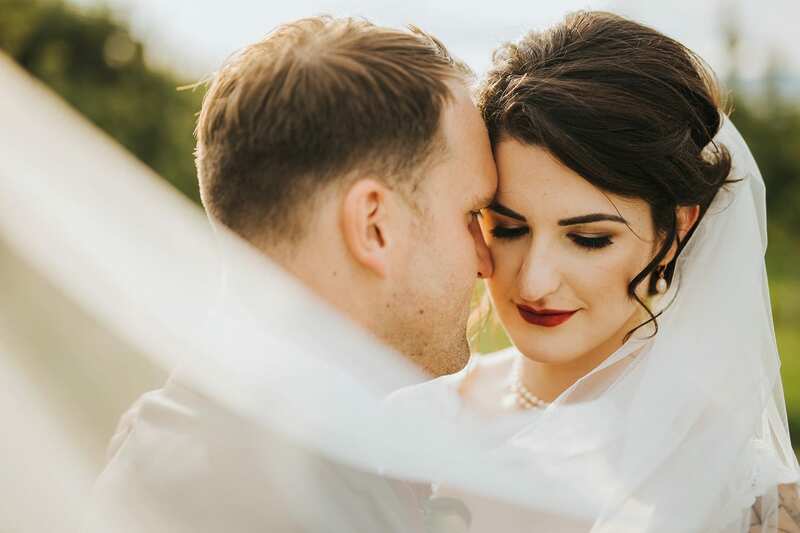 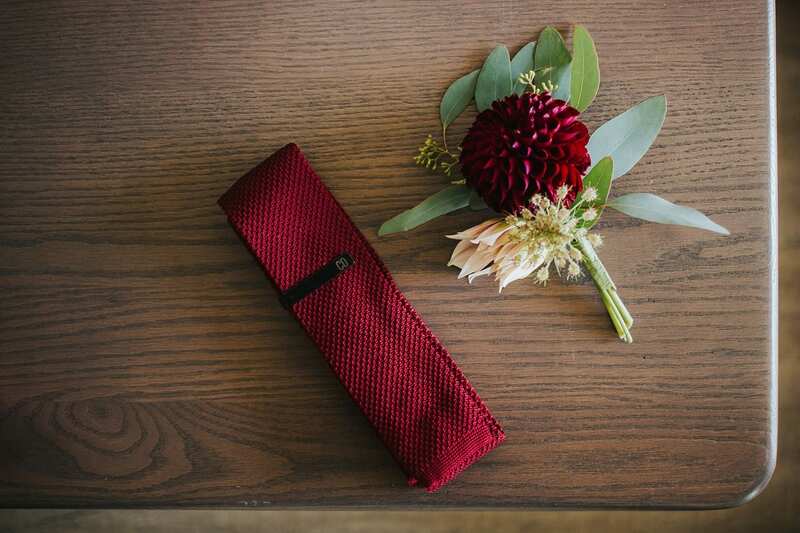 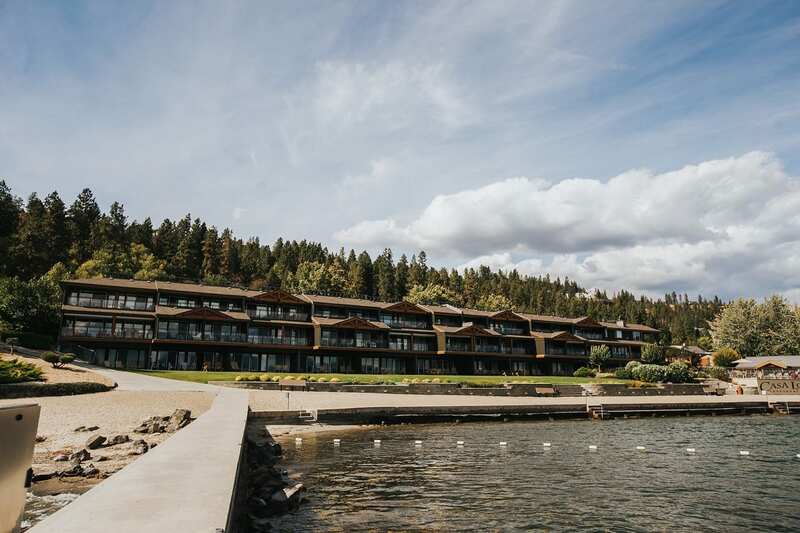 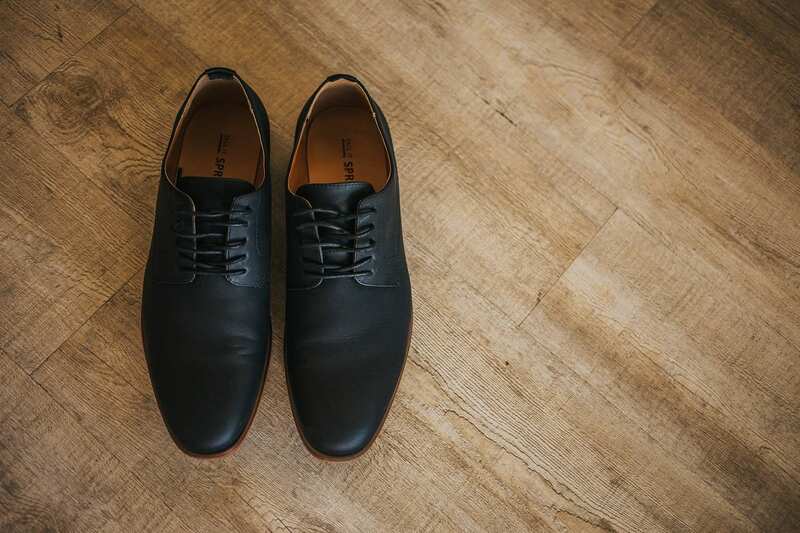 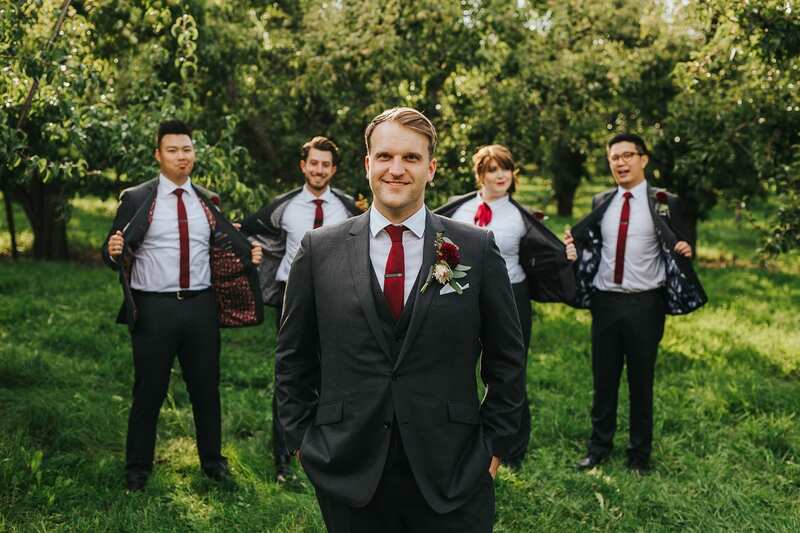 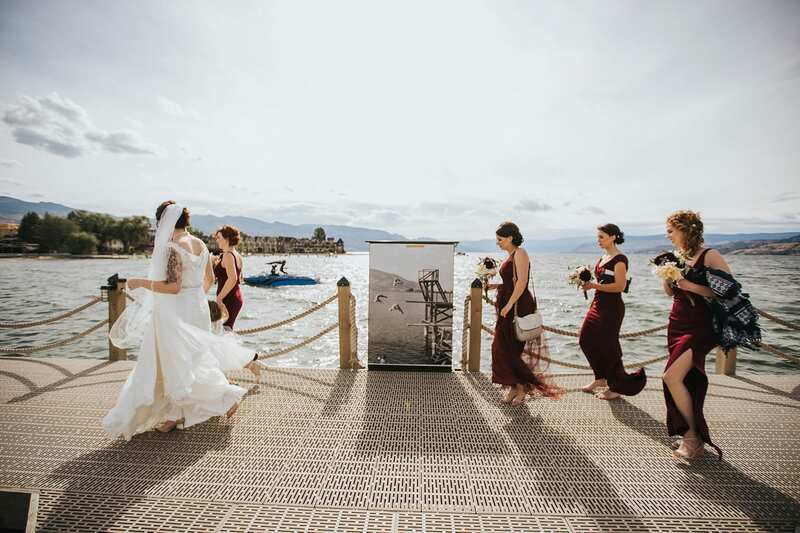 With a few finishing touches, the tie on, the shoes laced, they raced across the Okanagan Lake in a water taxi to the beautiful dock at the Manteo Resort. 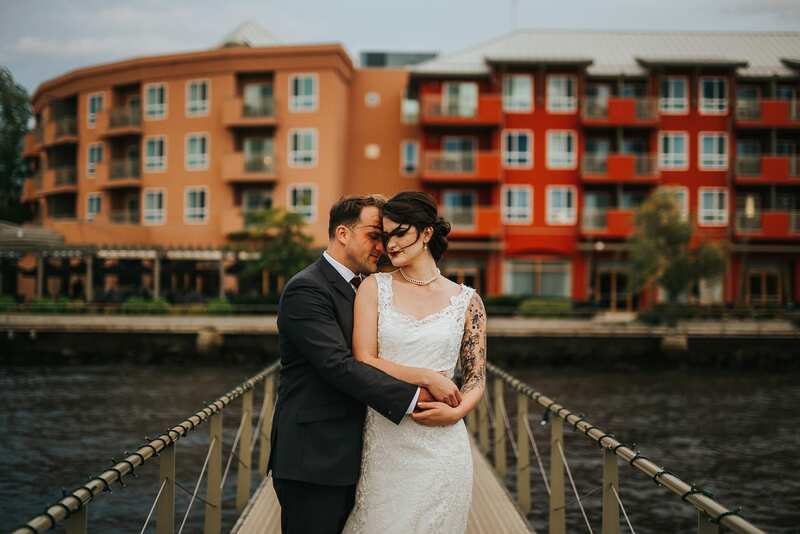 We watched as the water-taxi returned to pick us up! 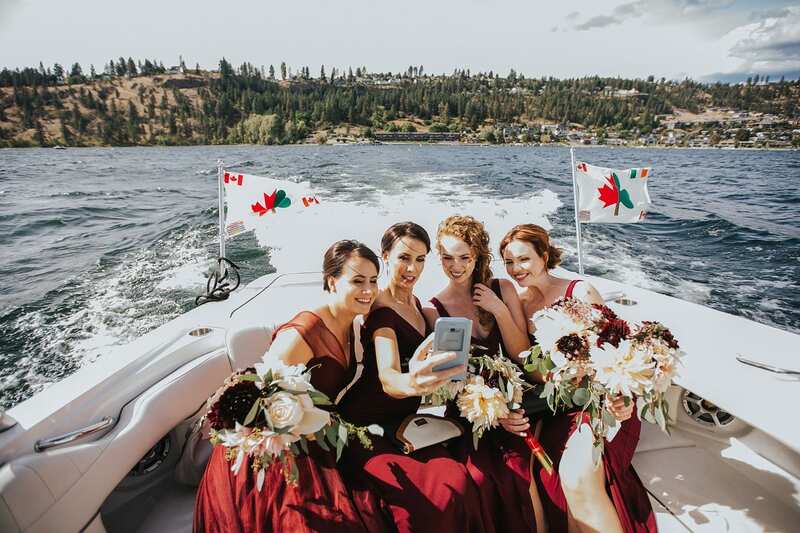 Taking a water taxi to your wedding is probably the most fun way we’ve ever experienced anyone arriving to their wedding ceremony! 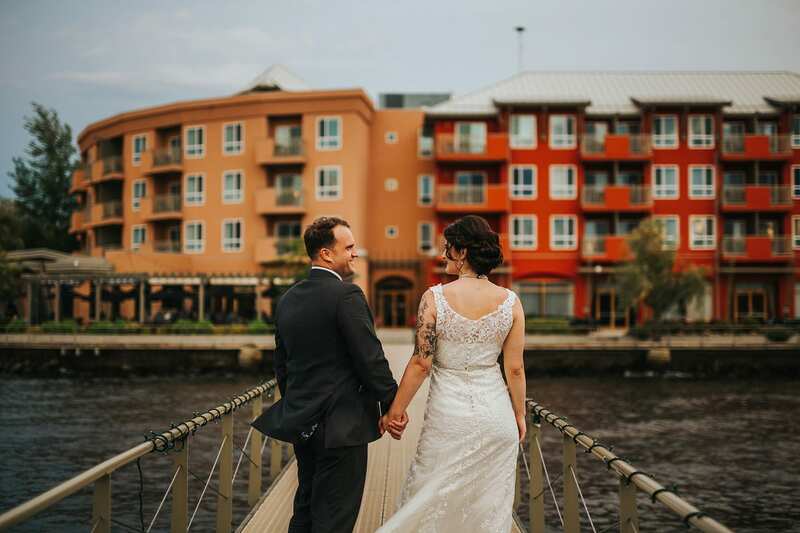 Manteo Resort is such a fantastic location for any wedding. 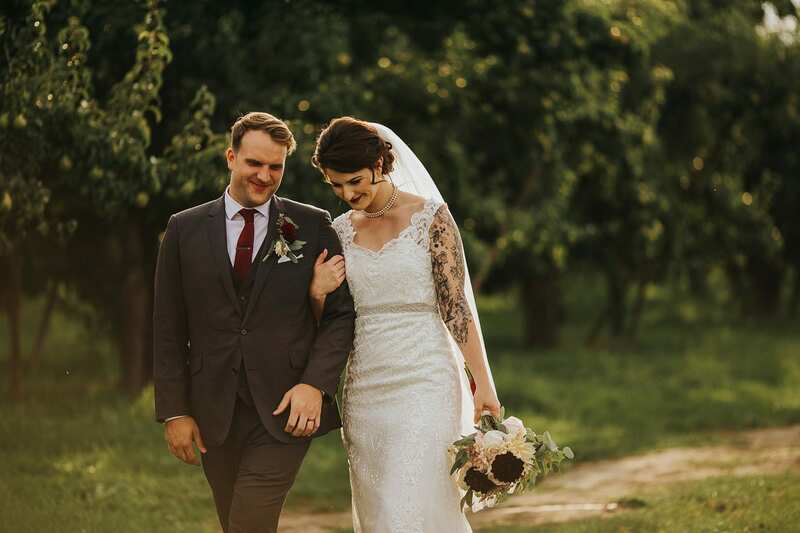 Glynnis + Christopher’s small and intimate wedding was the perfect size for Manteo’s upper wedding location. 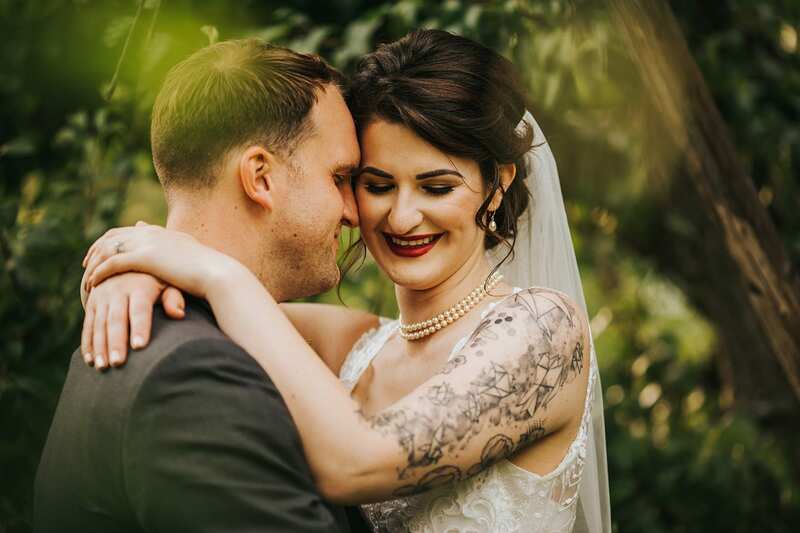 And Glynnis + Christopher being the artsy people that they are, their ceremony was filled with the best details from big and small. 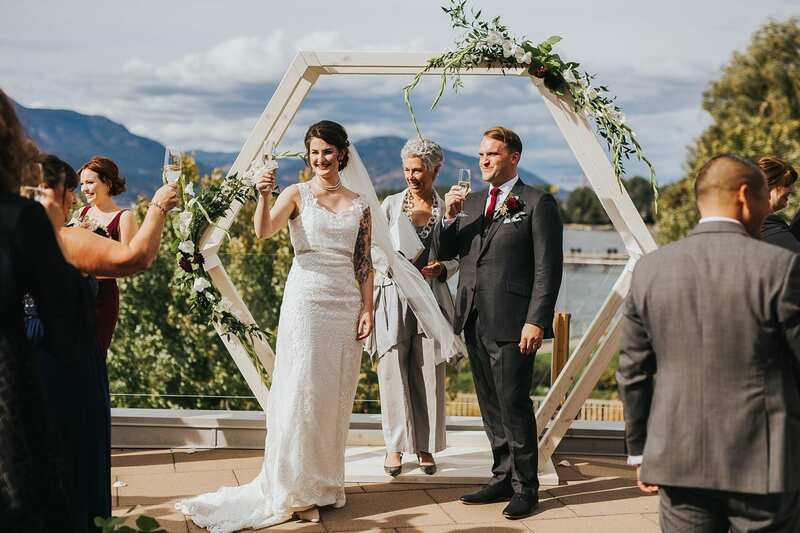 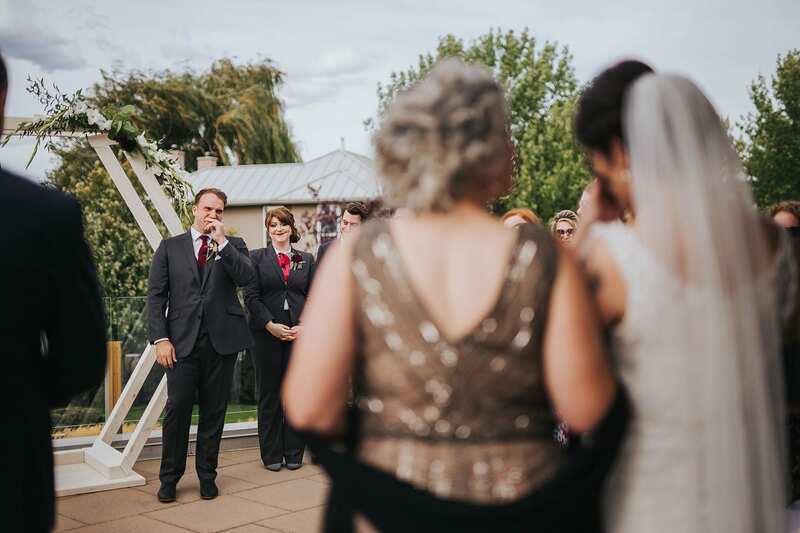 The custom geometrical wedding arbor, the surprise Ukulele solo by Glynnis, and the champagne toast, every detail of this ceremony was thought through and was meaningful. 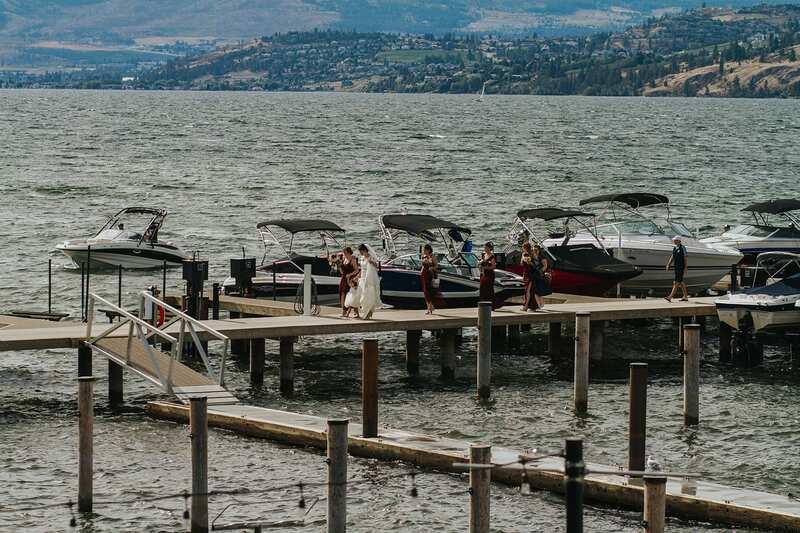 After laughs and tears, the couple was joined as husband and wife and off we went for family photos and bridal party photos right on the dock below us. 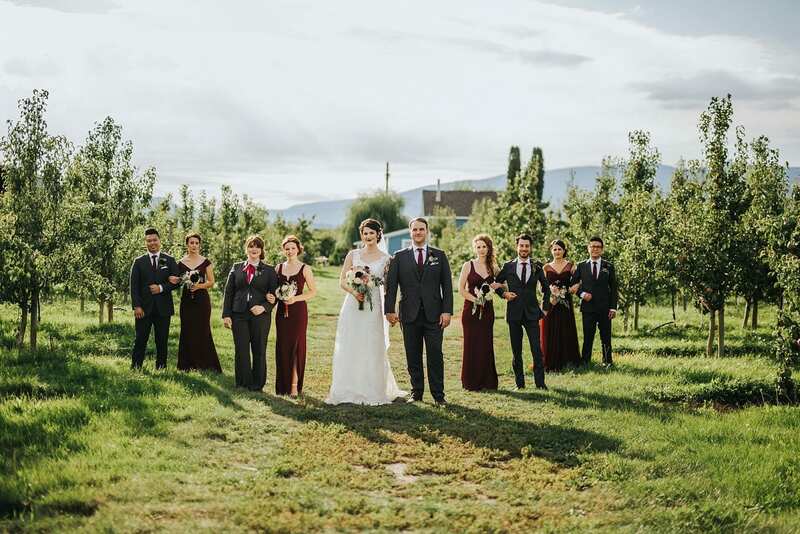 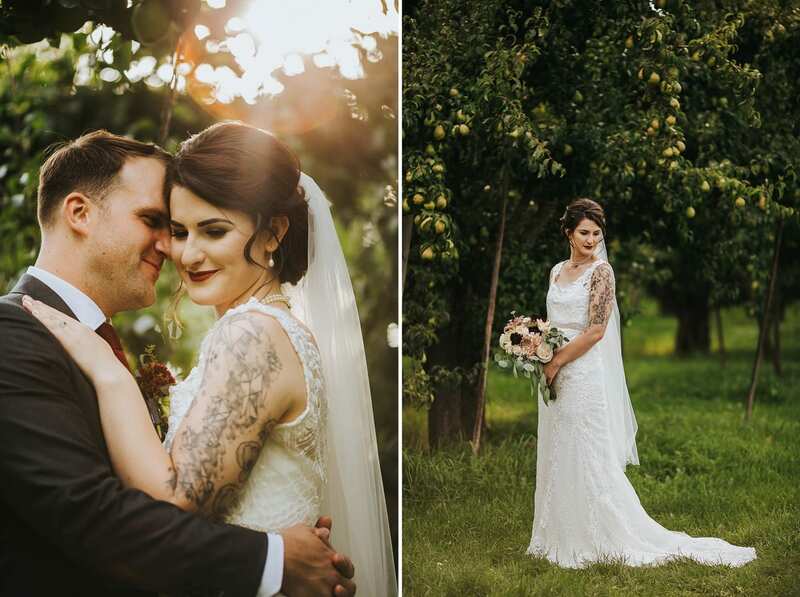 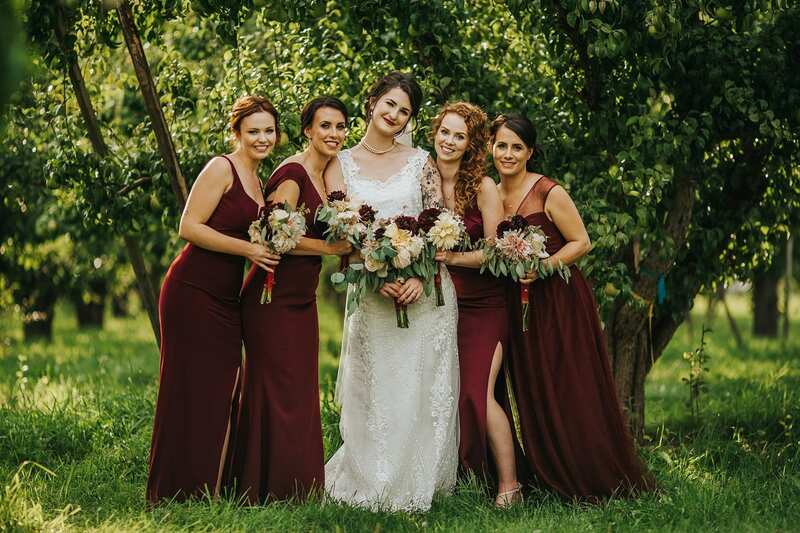 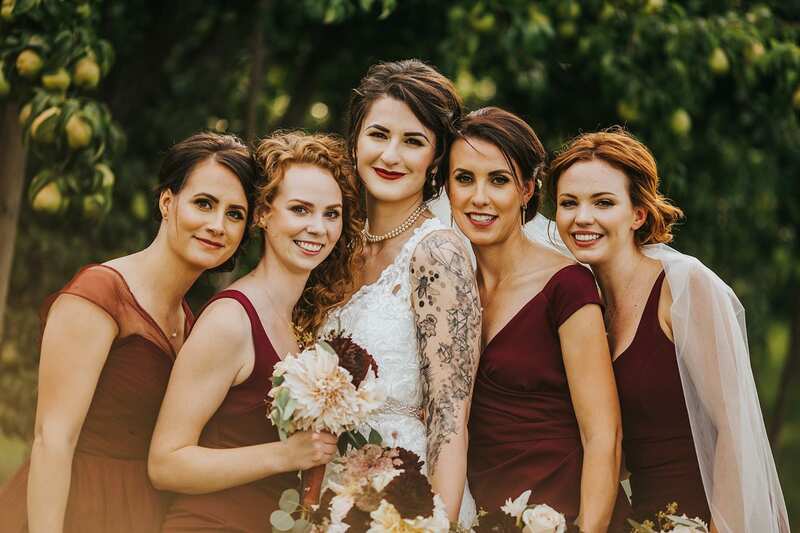 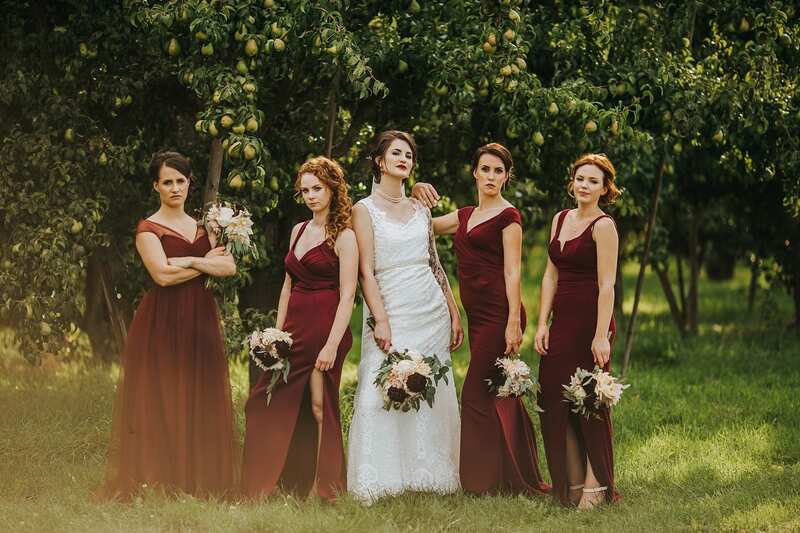 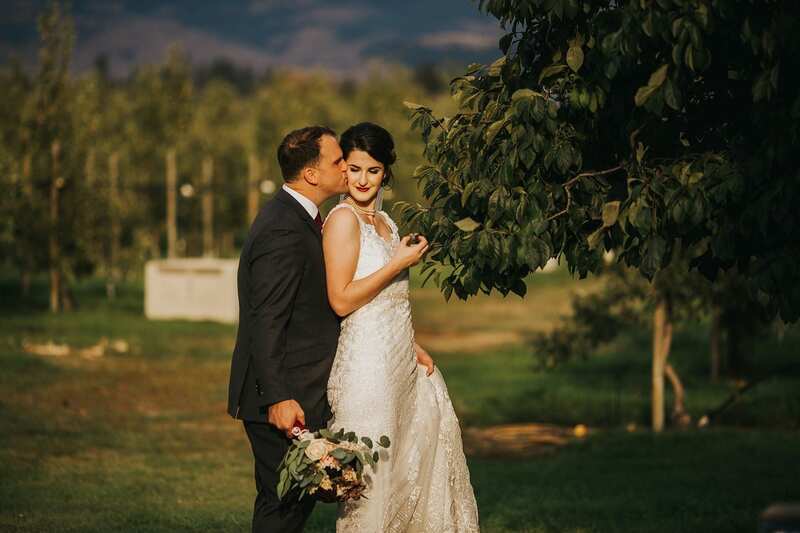 Then we whisked these sweet friends off for makeup (and dress) touch-ups, an important quick snack (a must at any wedding) so that no one would be “hangry”, and off we went again to explore a lovely Pear Orchard for more Kelowna bridal party photos, and couples photos. 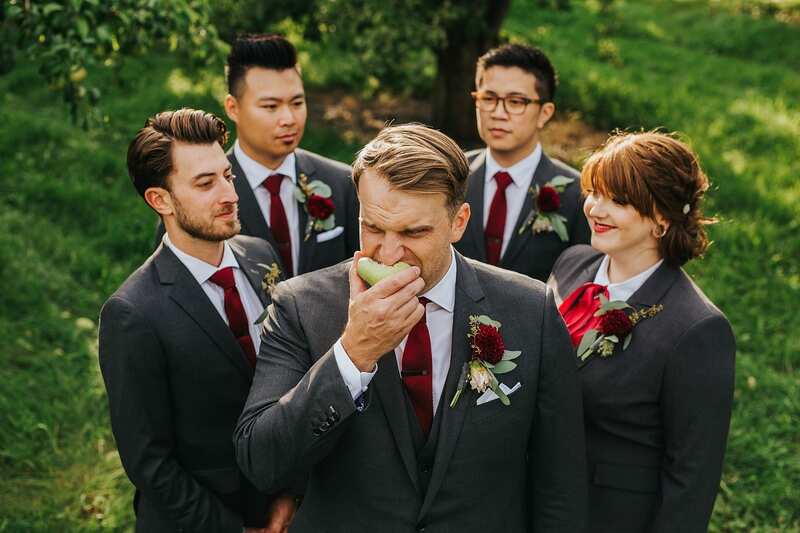 How much more Kelowna can you get than to spend your day at the lake AND eating fruit in a pear orchard!? 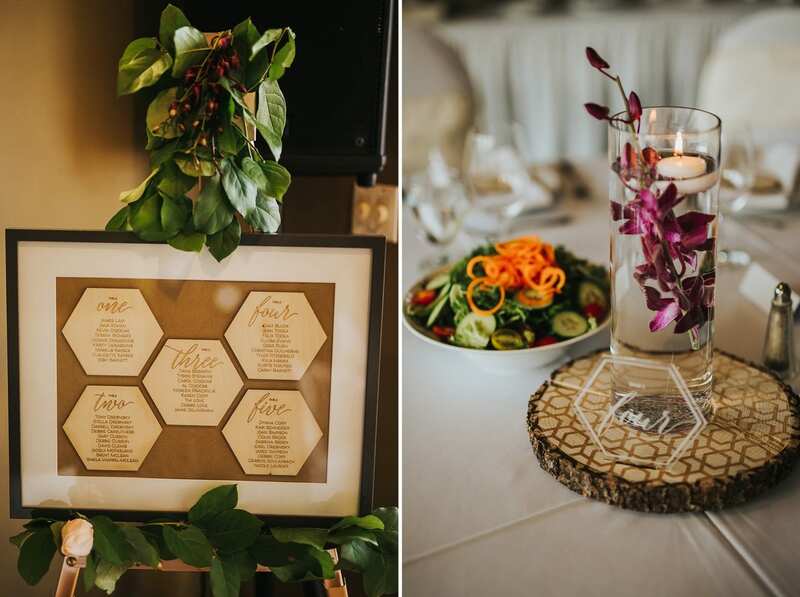 Back at the Manteo Resort, the small intimate wedding reception had begun with more intricately designed geometrical details and handmade wooden coasters, burned by hand by the groom with every single guest’s name as place markers! 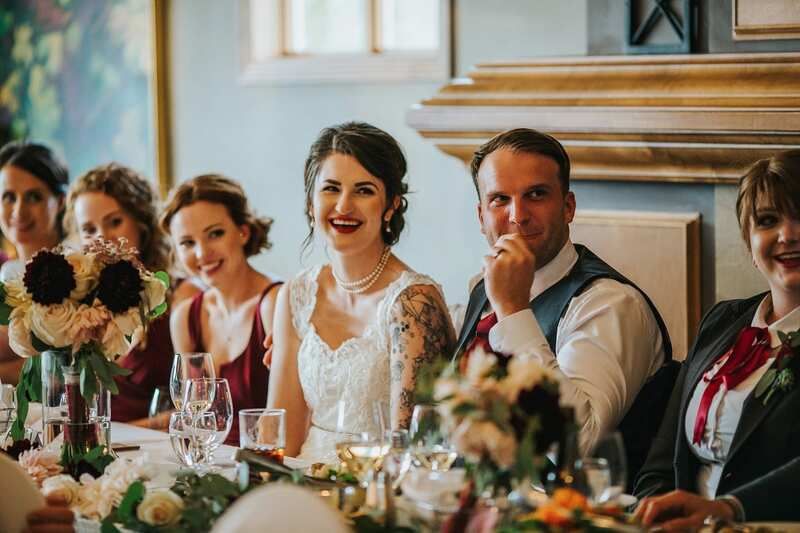 Dinner was family style and buffet, which is such a great way for your guests to mingle and get to know each other over dinner. 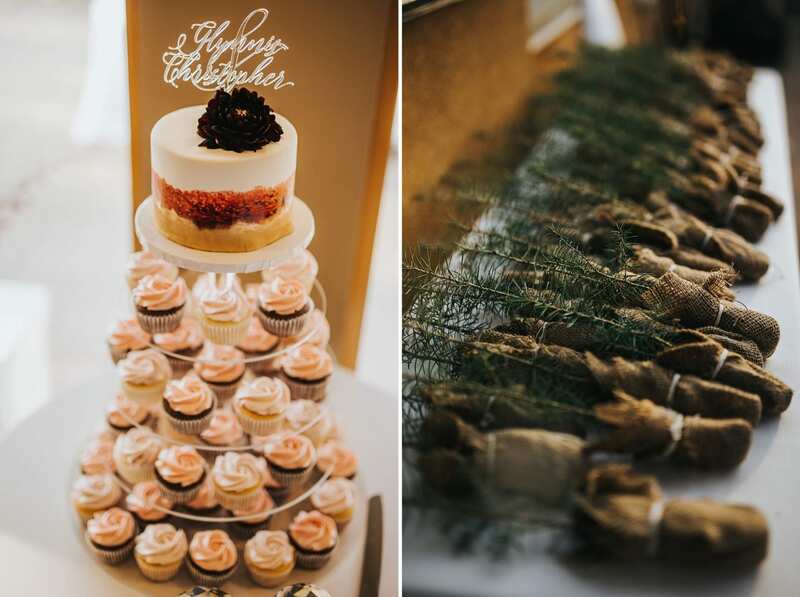 Dinner had a Greek flare, and was delicious. 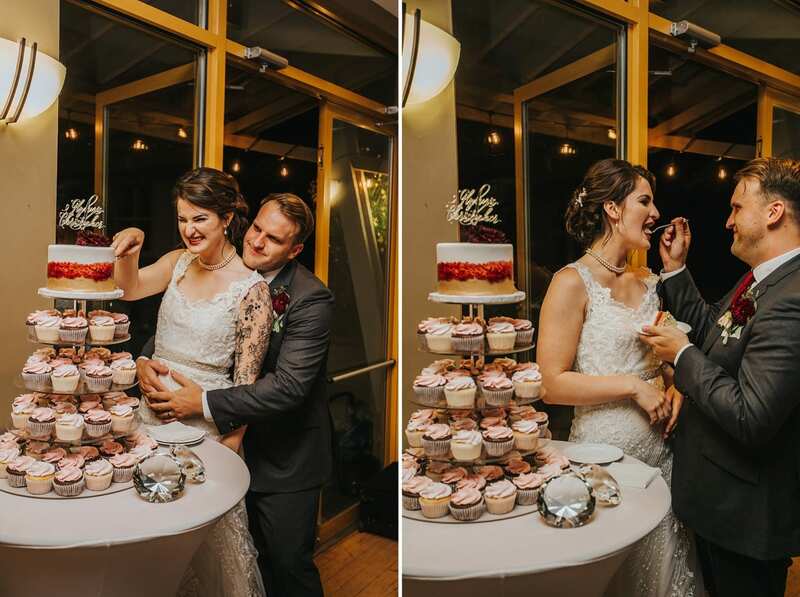 Once everyone was enjoying their food, touching speeches were made, the cake was cut, and everyone was ready to get their boogie on! 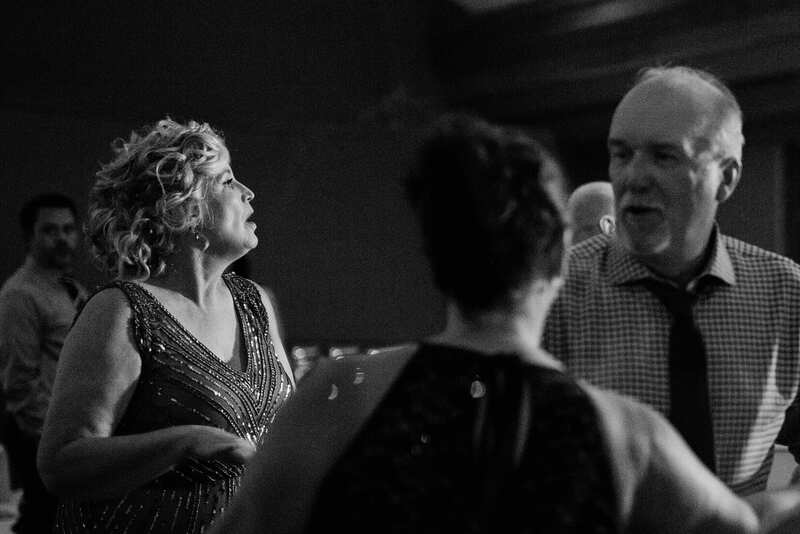 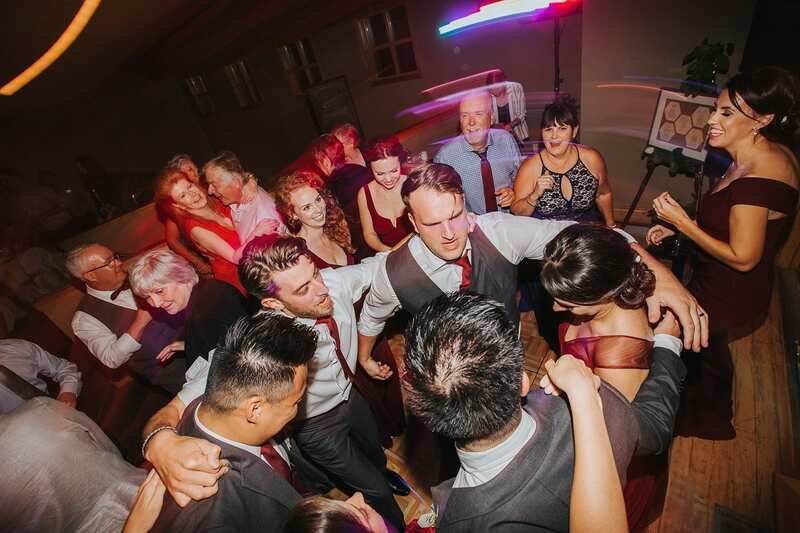 And let me tell you… these people were ALL on the dance floor! 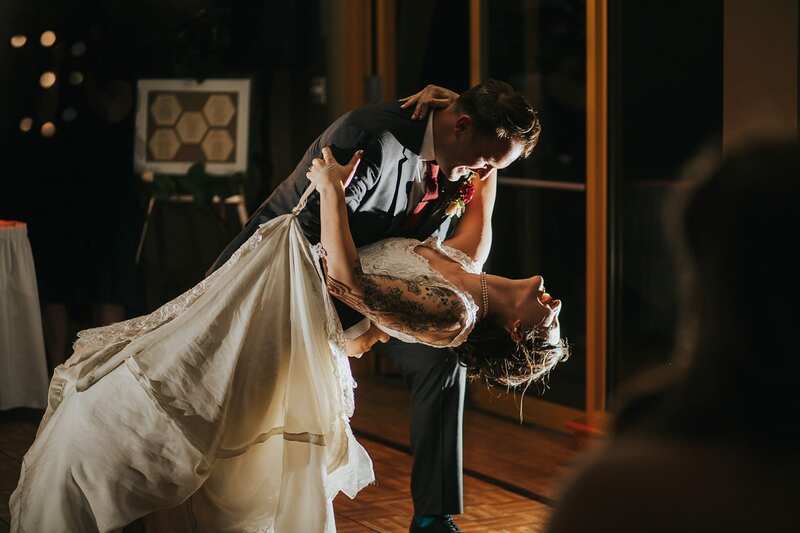 Thank you to Glynnis + Christopher for being such a wonderful, fun, funky, and sweet couple!! 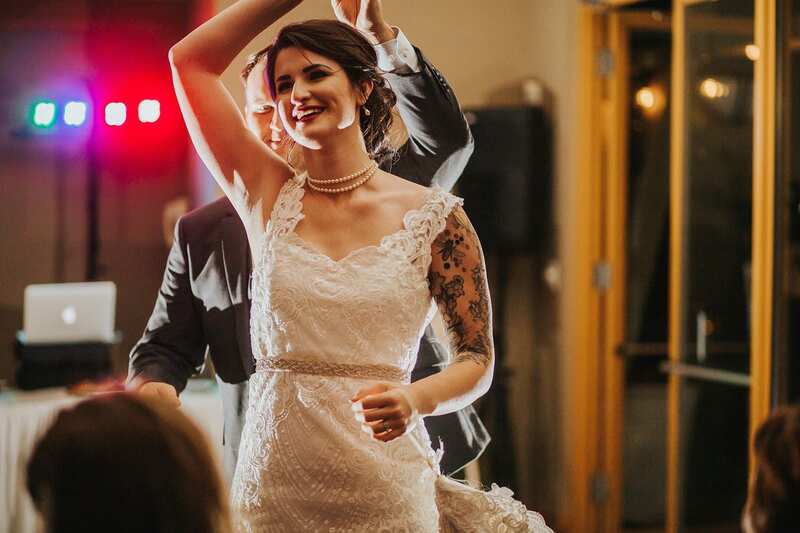 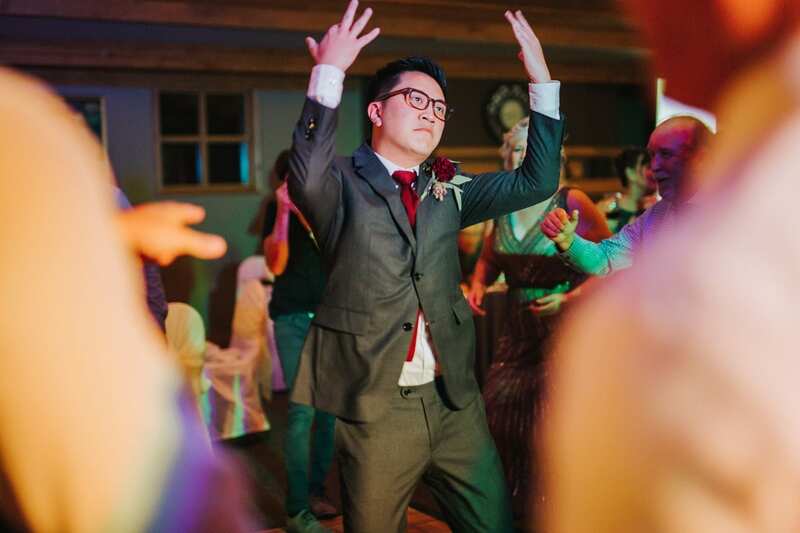 Your wedding day was so much fun and we are so glad we know you. 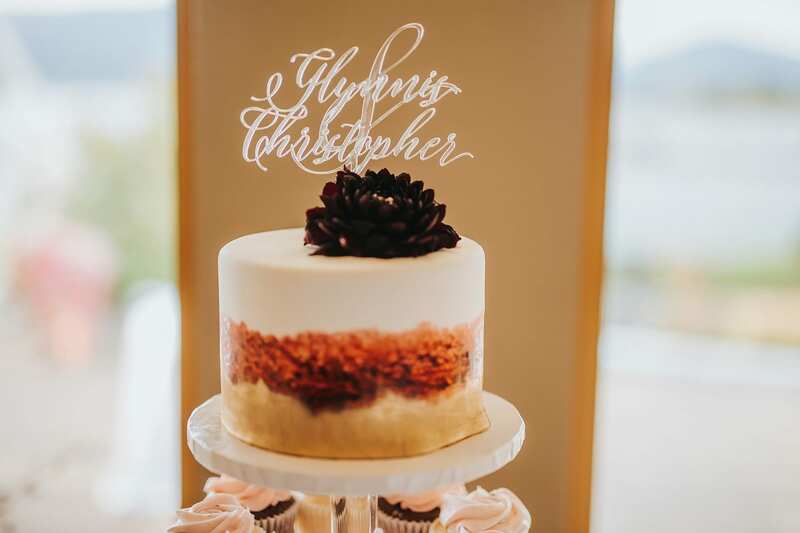 May your life together be filled with all the good vibes of love and friendship that we loved about your wedding day!